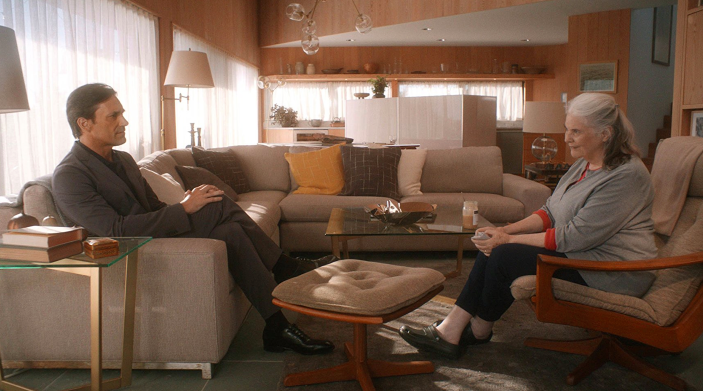 10) Marjorie Prime – The rapid advancement of technology is something that’s been examined a few times in film in recent years, and writer-director Michael Almereyda approaches it from a new angle in “Marjorie Prime.” Based on the play by Jordan Harrison, the film tells the story of an elderly woman named Marjorie (Lois Smith) who has a hologram of her husband’s younger self (Jon Hamm) recount their life together back to her as her memory begins to fade. The film offers a strong performance from stage and screen legend Smith, as well as some fine work from Hamm, Geena Davis, and Tim Robbins. Almereyda’s screenplay explores the desire to preserve oneself through technology, but he doesn’t view this longing in an unfavorable light. Rather, he expresses an understanding for this desire because of our natural need to hold onto our memories as we age. Almereyda also uses clever ways to reveal the passage of time in such a way that it adds more potency to a moment where a character might be experiencing a loss. All of this makes for a touching love story that deserves the time of day. 9) The Florida Project – In director Sean Baker’s latest drama, he brings us to a type of community in America that we know is there, but may not always acknowledge. The story takes place just outside of Disney World in Orlando, Florida, where Halley (Bria Vinaite) raises her six-year-old daughter, Moonee (Brooklynn Prince), in a motel run by a kind manager named Bobby (Willem Dafoe). While Halley does what she can to keep her and her daughter’s lives afloat, Moonee goes around town with her friends to explore their surroundings. Despite being the only established actor in the cast, Dafoe gives an understated, yet moving performance, while Vinaite and Prince provide stunning debut performances. The film explores the power of a child’s sense of adventure, while also using Disney World as a device to juxtapose the enclosed park that vacationers love with the world right outside of it that they may overlook. This movie is a tribute to childhood and how the optimism at such a stage in a person’s life can help them view the world as being a little brighter than it may be at the moment. 8) Professor Marston and the Wonder Women – A couple of months ago, I’ll admit that I grew fatigued by the influx of superhero movies that have been released. However, even if you also feel this way, or were never into comic-book movies to begin with, don’t let that stop you from checking out this fascinating film from writer-director Angela Robinson. 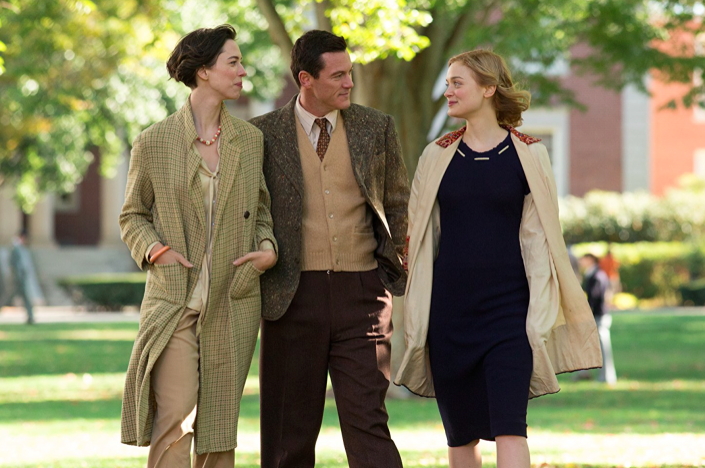 It tells the true story of Harvard psychology professor William Moulton Marston (Luke Evans), his wife and fellow teacher, Elizabeth (Rebecca Hall), and teaching assistant Olive Byrne (Bella Heathcote), who conduct research on human interaction and soon become involved in a polygamous relationship. This leads Marston to create one of the most famous superheroes off all time: Wonder Woman. The film soars with the strong performances of the three leads, all of whom exhibit an unfaltering chemistry, and Robinson’s screenplay digs deep into the characters’ academics, the complexities of their relationship, and the process of creating Wonder Woman. Robinson makes it effortless for the viewer to become absorbed in every scene because of the stakes that are at hand as the trio combat the norms of society. Just like Wonder Woman jumping off of the page for readers, this film leaps off of the screen for viewers. 7) Dunkirk – Christopher Nolan is a filmmaker who’s excelled in several genres, such as psychological thrillers, comic-book films, and sci-fi epics. This year, he brought us his most visceral big-screen experience and best movie to date with his World War II film, which follows the evacuation of Dunkirk from three perspectives: land, air, and sea. Yes, you could argue that there isn’t much in terms of story or character development, but it works in this instance because the time-sensitive mission doesn’t offer the characters a chance to learn much about each other, as it’s all about survival and getting home. Through Han Zimmer’s music, Hoyte van Hoytema’s cinematography, and Lee Smith’s editing between the three story lines, you feel the constant peril of the war as it closes in around you, but there’s an underlying inspiration as people band together to bring the Allied forces back home. Even after all of Nolan’s previous achievements, he still manages to wow us with his filmmaking ambitions. 6) Blade Runner 2049 – Long-awaited sequels can be a gamble because there’s a possibility that the huge gap in time may result in a cash grab that’s low on quality. However, with Denis Villeneuve’s sequel to Ridley Scott’s sci-fi masterpiece, that’s not the case. 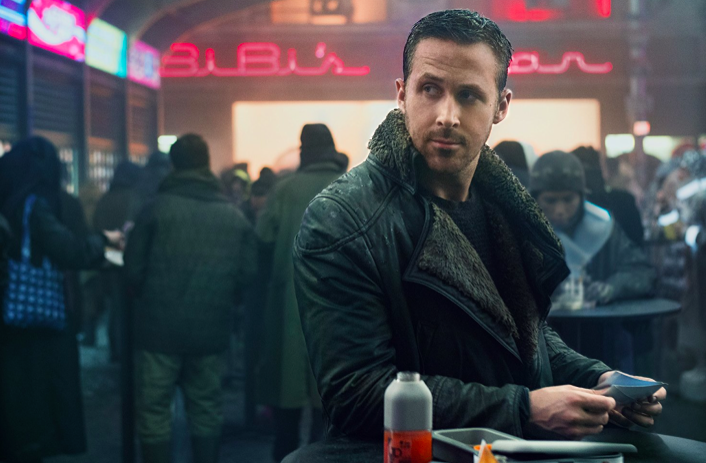 The movie tells the story of K (Ryan Gosling), a Blade Runner who uncovers a secret about replicants (bioengineered humans) that could change the course of history. What makes this sequel to Scott’s 1982 classic one of the best of the year is how it doesn’t take the easy way out by making a sequel that follows the same beat as the original, but instead delivers a story that enriches the mythology of what came before. One of many factors that helps the movie come alive is Roger Deakins’ blindingly gorgeous cinematography of the film’s futuristic setting, making this the most beautiful-looking movie of the year. Much like the original, this is a film that makes you pay close attention to the narrative and prioritizes story over action, being one of several modern examples that show what big-budget sci-fi movies can be. 5) The Lost City of Z – Sometimes, even if a film is based on a true story, you may go into the movie knowing little about the subject, which can elevate the viewing experience more because you’re learning about said subject as you go along. This is what happened to me when I saw writer-director James Gray’s latest film. 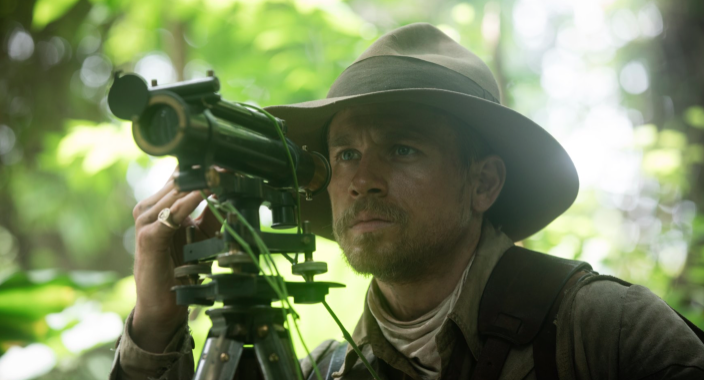 It follows the story of British officer Percy Fawcett (Charlie Hunnam) who begins a search for a lost city in the Amazon after finding clues during a previous expedition. Hunnam gives a surprisingly great and commanding performance, while Robert Pattinson, Sienna Miller, and Tom Holland round out a wonderful supporting cast. Gray has the film unfold like an old-school Hollywood epic and shows both the wonder and danger of this part of the world as it’s explored in rich detail, and this is made possible through Darius Khondji’s lush cinematography that revels in the beauty of the Amazonian jungle. This film has the spirit of adventure coursing through every frame and basks in the thrill of geographical discovery, absorbing you on every step of Fawcett’s journey. 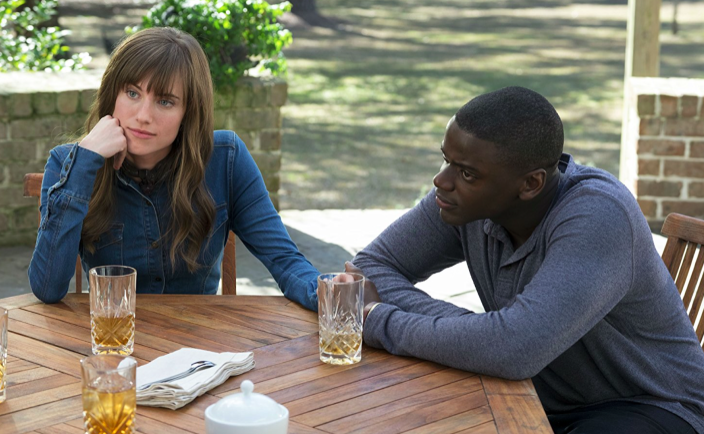 4) Get Out – A horror movie is at its best when it doesn’t just rely on scares, but also has something to say. This is the case with Jordan Peele’s directoral debut. The story, written by Peele, follows Chris Washington (Daniel Kaluuya), a young African-American man who accompanies his girlfriend, Rose Armitage (Allison Williams) for a weekend get-away at her parents’ (Catherine Keener and Bradley Whitford) home. Chris soon realizes that he may not be as welcome as he thinks he is. Kaluuya’s performance superbly displays a sense of isolation and discomfort, and Keener, despite being an A-lister, manages to keep her performance low-key, which makes her character much more unsettling. Peele not only delivers a premise that keeps you hooked in wanting to unlock the mystery, but he imbues it with subtleties that you’ll find with multiple viewings, and this is all wrapped in an examination of racial tensions that are still prevalent today. He develops an atmosphere that renders you on edge with how uncomfortable Chris’ situation is as he gets to know Rose’s family, with the party scene being as unnerving as it’s darkly funny. Given how stale mainstream horror can sometimes seem these days, the genre could use more visions like Peele’s. 3) Good Time – Some of the most memorable thrills of the year were felt in this crime drama from Ben and Josh Safdie. The story takes place in Queens and follows a young man named Connie (Robert Pattinson) who must obtain bail money after his mentally handicapped brother, Nick (Ben Safdie), gets arrested during an escape from a bank robbery that they committed. Pattinson delivers an explosive performance, and Safdie shows that he has just as much talent in front of the camera as he does behind it. With most of the film taking over the course of one night, the Safdie brothers provide a strong sense of urgency all of the way through, beginning with the blood-pumping bank robbery in the first 10 minutes, bringing us from one nail-biting scene to another, and throwing us into the bleaker side of New York City. This is an on-the-run odyssey you must experience. 2) I, Tonya – While there have been several biopics about famous athletes, I don’t think you’ve seen one quite like this comedy-drama from director Craig Gillespie. This film takes the “based on a true story” concept and brings it to an exciting new level. The narrative focuses on figure skater Tonya Harding (Margot Robbie) and her fall from grace after getting involved in a plot to bring down the career of fellow figure skater, Nancy Kerrigan (Caitlin Carver). What makes this biopic so unique is how it’s told through multiple perspectives, allowing the audience a chance to take in everyone’s account of the events and choose for themselves whom they think is the most truthful. Robbie and Allison Janney do dynamic work as Harding and her hard-to-please mother, and Sebastian Stan is wonderful as Tonya’s ex-husband. This film offers sympathetic reasons as to why Tonya got herself into this position, and it’s ultimately a condemnation on the audience about the long-term effects that their preconceived judgments can have on an individual, and it has as much humor as it does heartbreak. 1) Call Me by Your Name – One of the great joys of cinema is seeing a film where, once it’s over, you have an experience that makes you want to watch the movie again right away. The film that did that to me this year was Luca Guadagnino’s coming-of-age story, which is adapted from André Aciman’s novel. The narrative takes place during the summer of 1983, when 17-year-old Elio Perlman (Timothée Chalamet) is living abroad with his family in Italy as his father (Michael Stuhlbarg), a professor of archeology, can focus on his academic work. When a grad student, Oliver (Armie Hammer), arrives at their house to stay for a while and assist him, he and Elio begin a relationship that will change their lives forever. Chalamet’s work results in the breakout performance of the year, exhibiting all of the emotions that comes with true love, while Hammer, who hasn’t had a memorable performance since he made his entrance in 2010 with “The Social Network,” finally gets another role that’s worthy of his talents. Guadagnino captures the Italian countryside in such a loving way that you can almost feel the sunshine and whispers of the wind on your skin, with the film relishing its summer setting as the love between Elio and Oliver blossoms throughout the season. This is a romantic and heartbreaking film that’s going to be etched in your mind after you see it, which is appropriate because this is a movie that you won’t want to forget.